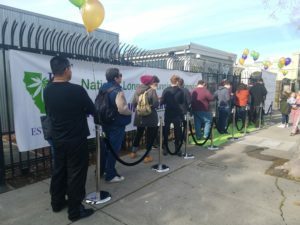 Marijuana Business Daily reporter John Schroyer is on the ground in California, posting firsthand accounts detailing this week’s historic launch of the state’s recreational marijuana market. Scroll down for an inside account from marijuana business executives pioneering the state’s new adult-use market, which Marijuana Business Daily estimates will generate at least $4 billion in annual retail sales in several years. Click here to read Part II, here for Part III and here for Part IV. Also, check out our observations and business intelligence gleaned from the first day of sales Monday. It’s like treading water in the ocean without a life preserver in the middle of a hurricane … while being shot at by pirates. That’s how one marijuana retail employee summarized the week surrounding New Year’s Day. And it’s a sentiment shared by plenty of other cannabis professionals in the Bay Area. With many outside observers may have the impression that Jan. 1 was the finish line, those in the business feel like the starting gun just fired. Come into compliance with new state and local rules. Scale up their operations for the volume they expect throughout 2018. Expand their industry footprint and win more company permits. Make vital industry connections to ensure their role in the supply chain doesn’t unravel because of unforeseen problems. 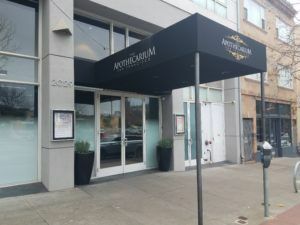 In San Francisco, The Apothecarium dispensary still hopes the city will allow it to start rec sales Jan. 6. Unlike the local governments in nearby Oakland and Berkeley, San Francisco’s leaders didn’t have their ducks in a row to begin on New Year’s Day. Ryan Hudson, The Apothecarium’s co-founder and CEO, said he’s hopeful – but not certain – that will happen. Like several other retailers, he said his biggest worry heading into 2018 is whether he’ll be able to maintain his inventory. That’s because it’s unclear how many distributors, growers, edibles makers and others in the previous unlicensed supply chain will be able to work with him now that he’s only allowed by state law to deal with permitted operators. “It is a big concern,” Hudson said, estimating there are only about a half-dozen distributors he’s aware of that he will be able to buy from. In Berkeley, Steep Hill Labs is still working to move into a new, larger facility in Alameda from its current Berkeley location. Lab executives want to scale up the number of cannabis testing samples they can run per day. Reggie Gaudino, Steep Hill’s vice president of scientific operations, said the company has a nearly 40,000-square-foot space lined up that he hopes to move into by May. The facility is five times the size of the company’s 7,500-square-foot Berkeley location. But red tape with the city of Alameda has delayed the move. Steep Hill is investing $16 million-$18 million just on new equipment – meaning it will spend even more on refurbishing and other expenses for the relocation. The new gear is intended to bolster the lab’s testing capacity from a few hundred batches per day to as many as 5,000. Even with such a build-out, Gaudino said, there will likely be a bottleneck later in 2018 involving growers, manufacturers and retailers. Blame it on a shortage of testing labs in California. At this point, Gaudino said, only about 10 are operational. He reckoned it will require a tenfold increase to handle the volume of marijuana and infused products the state already produces. He’s also planning to double his staff size by the end of 2018. “And that still won’t be enough” to handle the workload Steep Hill is anticipating, Gaudino said. 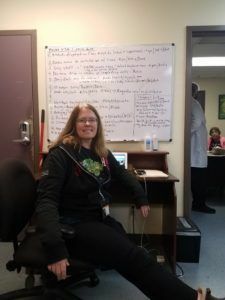 At Magnolia Wellness in Oakland, executive director Debby Goldsberry said the company has been practically flying blind with fingers crossed for weeks. The shop didn’t receive final approval from the state to begin rec sales on Jan. 1 until two days before the new year. And once the business got the green light, the staff had to conduct a last-minute inventory count. But then a problem surfaced Jan. 1. Goldsberry noticed some discrepancies with the count, and so it had to be redone. It wasn’t finished until 11:45 a.m. on New Year’s Day. The shop opened to the public minutes later, at noon. “We thought we were going to die. We were about having heart attacks” in the days and hours leading up to the rec launch, Goldsberry said. Magnolia went so far as to create a spreadsheet of all the different regulatory line items it needed to comply with for its temporary and permanent state licenses – in addition to temporary and permanent operating procedures. That amounted to about 1,500 line items on the spreadsheet. Each had to be assigned to a different employee to ensure everything was done before New Year’s Day. Those line items will probably have to be revised in the days and weeks ahead, as regulators further clarify industry rules. But Magnolia and Goldsberry – as well as The Apothecarium and Steep Hill – are now looking ahead to the future. Magnolia has 5,000 square feet of space adjoining the existing dispensary that is already being used for parties. It will be further renovated to include additional retail space, a customer lounge, a dab bar and an infused products manufacturing facility. “We’ve got big plans,” Goldsberry said with a smile. Nothing legal about Cali unless you’re an oligarch, political cronie or corporatist. There is no competition so price and quality do not matter much like Washington State where consumer gets screwed.. Hopefully Sessions does step in and blow up the whole crooked system. As a lifelong 60+ year Washington state resident who’s familiar with quality cannabis and those who sell it YOU are mistaken. Prices have fallen since legalization and quantity of cannabis products has increased as there’s lots of things cannabis to choose from. In fact at the recreational retail outlet I frequent (Elevation from the Squaxin tribe, the first tribal recreational cannabis store IN THE NATION located south of Shelton Washington on US-101 by their casino called Little Creek) there’s $50 high quality ounces available all the time. Of course there’s cannabis at all price points. Concentrates are inexpensive and outstanding as well. Medibles? Yep. Anyway, while it may not be perfect, legalization in this state works just like it was designed to do. Everyone is happy. The state is collecting huge amounts of tax dollars those paying don’t seem to mind doing so and that will increase. The cops are…a little more reasonable as they have the time and funds to concentrate on real crime. And the public wins too with huge varieties and excellent prices. Anyway with a comment like that it’s obvious you don’t live here. And you don’t shop for weed here either. And you couldn’t be more…mistaken. Well I do “Live Here” and perhaps people who live within a reasonable drive of Shelton’s Squaxin Tribe can get quality $50 ounces but that sure as hell isn’t the case anywhere in the Seattle Metro area. You don’t have to drive here to see, just go on-line and check out the prices. Everyone is NOT happy my Washington State neighbor. And that goes for Flower, Oils, Concentrates and Medibles.